Building credit is not an overnight task as it builds slowly over time. Getting a loan, mortgage or lease requires you to have a good credit score which highlights that you have behaved financially responsibly in the past. Good credit reduces risk because you are more likely to make your payments on time. Students and young individuals who are going to start building a credit history must make smart decisions to ensure a safe future. Doing things right from the start obviously has its advantages and maintaining a good credit score is no exception. Anyone in your family who has a good credit history can help you start the credit journey imperiously. Opening up a loan account with a cosigner who has a good credit history is a great way to kick-start the process. The cosigner simply guarantees the payment in case you are unable to make it and should be someone who trusts you. The credit score of a cosigner can suffer as well in the case you are unable to pay so, before taking this option, all terms must be cleared out to protect both parties. A starter credit card is specifically built for people who are starting their financial journey and usually have lower credit limits of up to $300 – $500. However, the interest rates are significantly higher compared to mature credit cards. Student credit cards allow you to build up your credit gradually and upgrade your cards when you build some credit. People having a little bit of credit history can opt for capital one credit cards which have a high rate of approval among starters. These cards come with no annual fees and offer better rewards if you keep a good history of building credit. 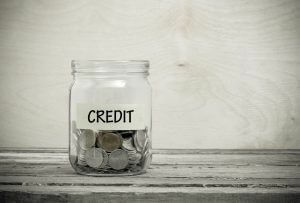 Another significant factor in measuring the worthiness of your credit score is how much revolving credit you have versus how much you’re actually using. For a better credit rating, the percentage should be on the smaller side and often the optimum percentage in 30% or below. Paying off your balances and keeping them low will ensure that this percentage stays down. Consolidating your credit card balances with a loan can also help you score valuable credit points. Building credit with credit card issuers that accept multiple payments throughout the month should be your priority at all times. There is a general perception that having a debt on your credit report is a bad sign and that you should hurry to get it removed as soon as you pay off the loan. While it is true that negative items affect your credit score for worse and generally stay on your report for almost 7 years, getting them removed might not be such a bright idea. If you have paid off the debt, you have converted it into good debt which is good for building a credit score. Keeping your old accounts that you have a history of paying open is also something that is recommended by credit building experts. Therefore, never try to get rid of old debts that have been paid off. If you are trying to make a big purchase related to a house or car, you must plan for it in advance rather than skimping on your regular bill payments and scrambling for money from here and there. A good credit score requires you to invest time by maintaining a steady flow of payments, month after month. Ruining all of the effort and diligence by missing a single payment is never a bright idea because it will take years to build that again. Building credit requires you to have patience and implement smart strategies to keep your financial and bookkeeping needs in order. Five Ways to Improve Patient Collections How Does Refinancing Work?